As a physician, I believe these concepts are very important. Partnership between physician and patient is critical to developing unique approaches customized to your individual needs and preferences. I work with you to guide your path to better health as you make choices about your health habits and behaviors. Self-care is as important as, and often more important than, physician prescribed treatments. In addition to diagnosing and treating, my job is to educate, coach and support. you are the best! Enjoy your day! Dr. Edith Pang is a very dedicated physician. Dr. Edith Pang is a very dedicated physician. She takes the time to answer questions, directs you to great specialists if required. I've never had a Doctor that took the time and shared her expertise the way she does. She also makes you feel very comfortable to converse with her. She's No. 1 on my list of professionals!! Dr. Edith Pang is the God-sent physician and friend to me during these past many years. Dr. Pang is thoughtful, careful and an excellent communicator. Dr. Pang is thoughtful, careful and an excellent communicator. A great doctor. Good fun, too! welcome the holistic approach to wellness and well-being. doctor has moved towards intentional coaching and advising about overall and total well-being. love that she is able to integrate a number of knowledge bases when treating me. welcome the holistic approach to wellness and well-being. Dr. Pang is very thorough and always very positive and enthusiastic! Dr. Pang is very thorough and always very positive and enthusiastic! No matter how bad or sick I feel, after visiting her, I always come out of her office feeling great! Her staff is also very friendly and welcoming. They all make you feel very comfortable! 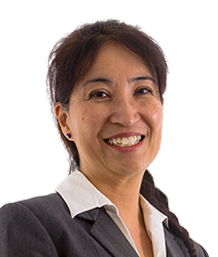 Dr. Edith Pang is "Awesome!." I totally TRUST her years of medical knowledge and experience. Dr. Edith Pang is Awesome!. I totally TRUST her years of medical knowledge and experience. She is very pro-active and very caring. Dr. Pang is available when I need medical advice or assistance. I am very fortunate to have an excellent medical and dentalteam. It is hard to believe. It has been almost ten years since my first visit. It was on August 8, 2007. Since then, all visits have gone well. The MDVIP wellness exams went well. The referrals have been excellent. I am very fortunate to have an excellent medical and dentalteam. Dr. Pang has been my primary physician for a long time. This physician currently has a waiting list. Contact us for options.